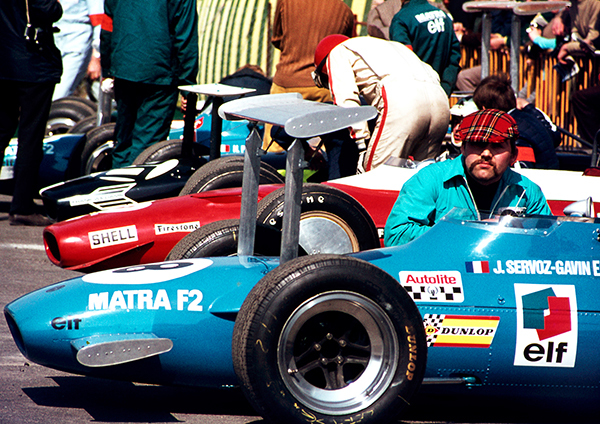 In 1969 for the second international event to be held at Thruxton, thanks to my images taken at the Monaco Grand Prix in 1967 I was given a tremendous opportunity by Agfa Gevaert to photograph international motor racing. For a period of time I gave up waving flags as a marshal with the BARC and focused on the colour and imagery around the track. This image is of the cars collected in the holding area at the end of the Thruxton Paddock waiting to be called on to the track for practice or race.